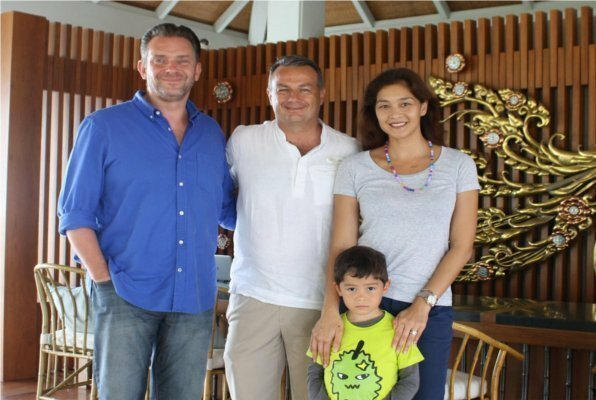 Metinee Kingpayome Sharples, the famous Thai model and actress, recently took an opportunity to spend time with her family at Regent Phuket Cape Panwa. Metinee took a few days out to relax at the resort’s beautiful beach on Cape Panwa Bay, which offers a refreshing and very welcome experience. Brice Borin, General Manager of Regent Phuket Cape Panwa, and his dedicated Regent team took care of the family’s stay and ensured they was able to enjoy the best of Regent’s signature hospitality and superb cuisine. The resort prides itself on offering an exceptional experience to families. Metinee and her husband appreciated the friendly and helpful staff, the quality of English spoken throughout the resort, complimentary iPad usage and the exceptionally skilled spa staff. Regent Phuket Cape Panwa, one of the best luxury holiday destinations for families in South-east Asia, features 105 rooms, each with their own private balcony with sea views, plus spacious and stunningly-designed Pavilions (22) and Suites (48) which set new standards in resort accommodation in Phuket. For yet more memorable pampering, each of Regent’s 35 Pool Villas have their own private pool, guaranteeing unforgettable luxury and privacy. Regent Phuket Cape Panwa also offers the finest gourmet cuisine and one of the region’s best ocean view spa facilities.